The Boomerang Kid must retrieve all of his boomerangs scattered throughout the outback. Super Robin Hood must fight his way through Nottingham Castle while avoiding a multitude of traps to successfully rescue Maid Marian. 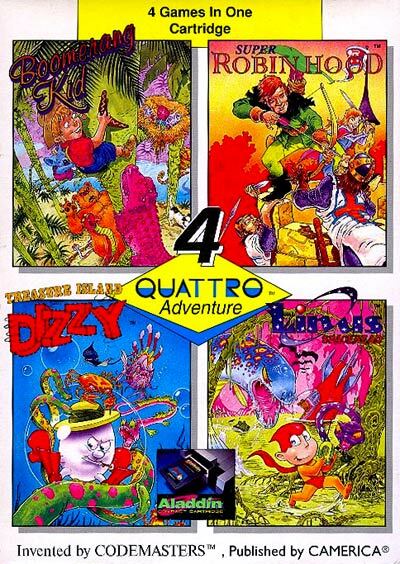 Treasure Island Dizzy: Dizzy finds himself stranded on an island and must figure out how to get home. Linus Spacehead: Linus, an alien from the planet Linoleum, has crash landed on Earth and needs to gather up all of his scattered radio parts in order to radio home for help.